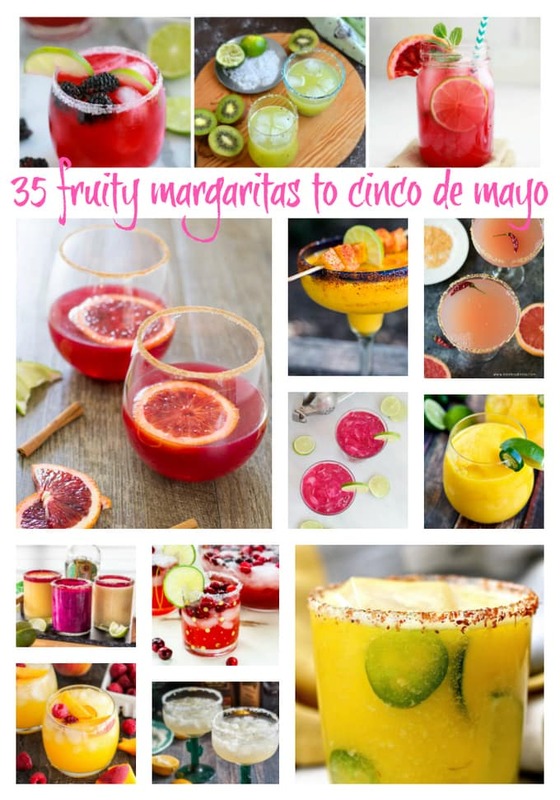 Home » 35 Fruity Margaritas To Freshen Up Your Cinco de Mayo! Everyone needs a little fruit in their lives. Ok, a lot of fruit! 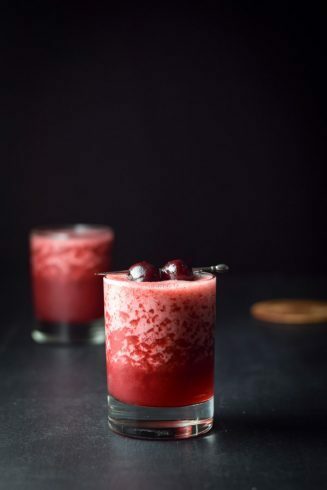 Why not have some of those fruit servings with your cocktail? 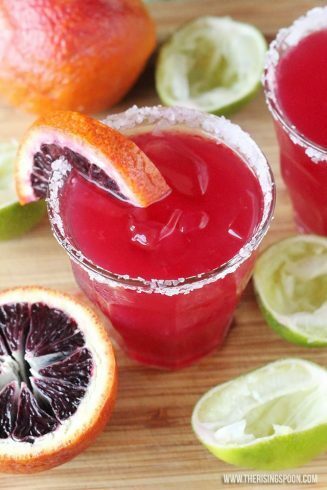 35 Fruity margaritas are here just in time for Cinco de Mayo! 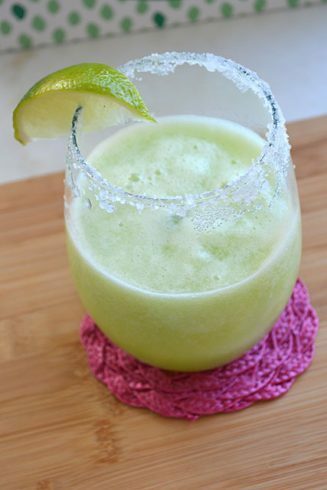 Margaritas are a staple for Cinco de Mayo and just about any other moment throughout the year in my opinion. 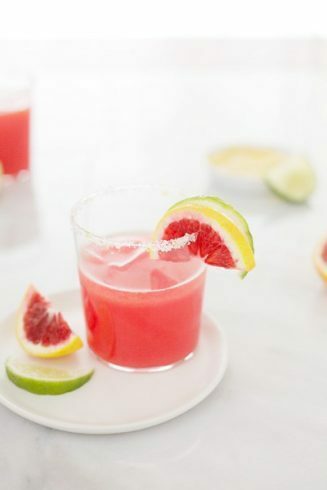 With summer right around the corner and all the fresh fruits coming in season, I thought you could use some recipes for fruity margaritas. 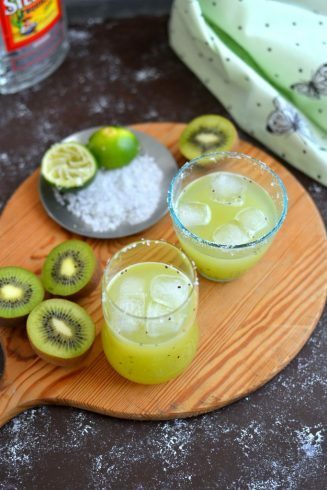 Frozen or on the rocks, these recipes will help you get your margarita on! Today, Cinco de Mayo, or even this winter! 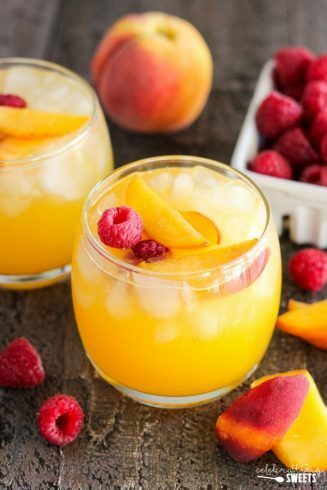 How about some fruity margaritas with mango to start this party off! 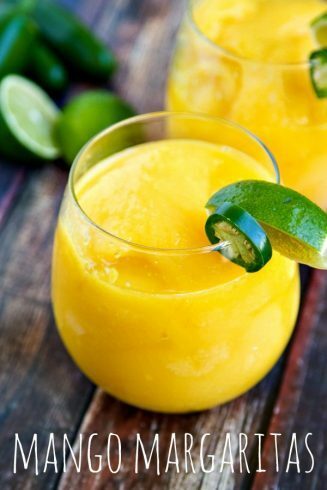 This first mango margarita is a pitcher style so it’s perfect to kick off summer party season. 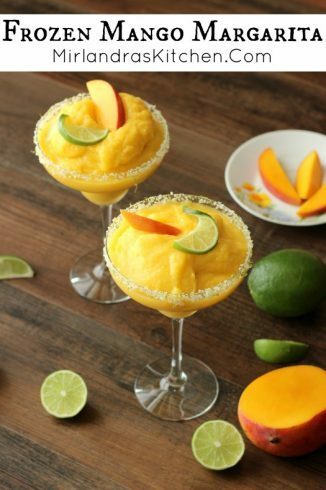 This frozen mango margarita with 5 ingredients is easy to make and is sure to cool you off this Cinco de Mayo! 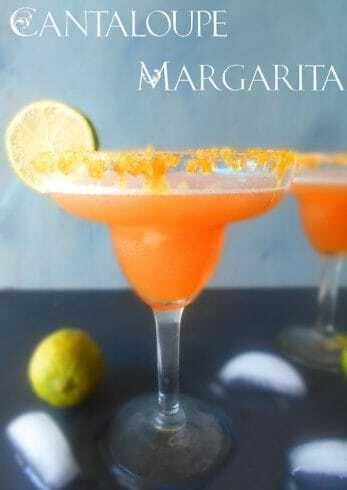 I love a margarita with Grand Marnier but the addition of the Tajin Seasoning takes it over the top! These are perfect for parties. 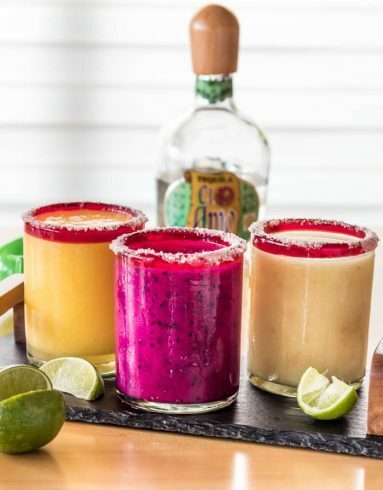 Meg shows how to prepare them, store them in individual mason jars in the freezer, and just pull them out about 10 minutes before you are ready to serve the margaritas! Genius and totally stealing this hack!! Genius and totally stealing this hack!! 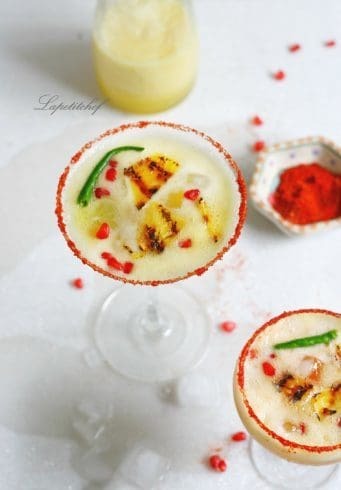 How about some pineapple for your fruity margaritas! Grilling your pineapple adds a layer of smoky char to the mix! 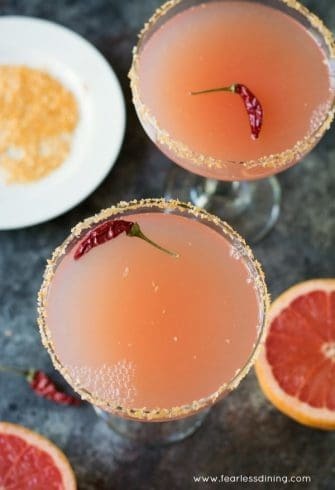 The addition of smoked paprika on the rim is a genius idea. 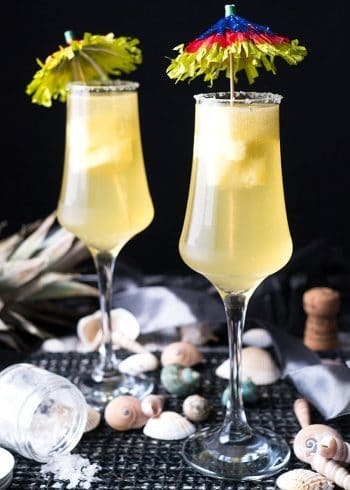 Fresh pineapple and floral cilantro make a great partnership! Agave is the perfect sweetener for your margarita. Plus it has extra vitamins! 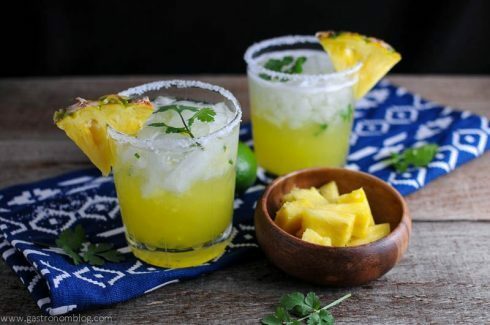 If you have never had a hot margarita with pineapple you should really check this out! While we are having pineapple let’s keep it tropical for a while longer. 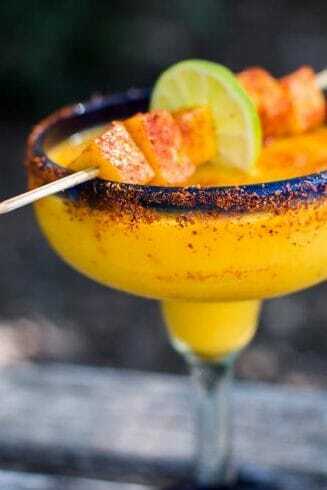 This exotic margarita utilizes all the tropical fruit. 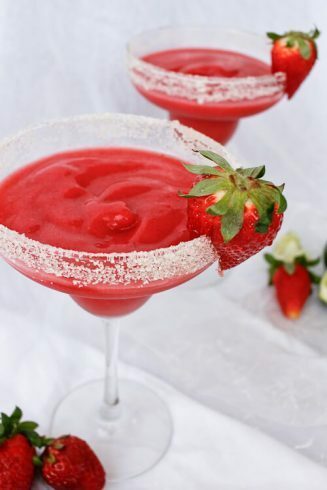 Talk about perfect fruity margaritas! 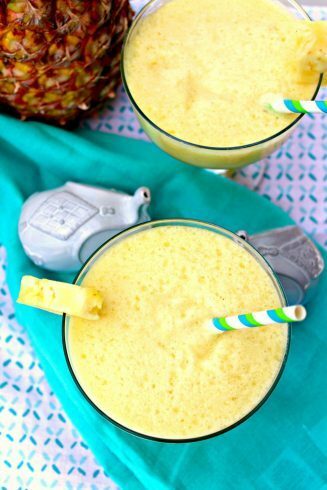 Mango and pineapple is a great combo and the addition of coconut on the rim has me wanting to hang out under a palm tree. 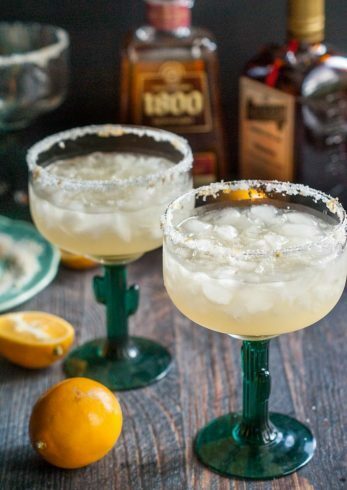 Living in Georgia has me loving some peach margaritas! 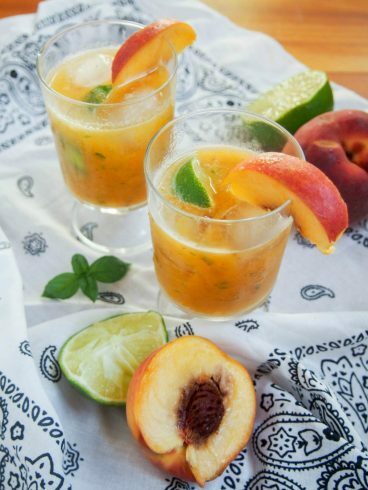 Allison makes a homemade peach syrup that is to die for and perfect for these on the rocks fruity margaritas! This one is made with wine!! Be still my beating heart! I love fresh herbs with fruit! It really adds to the flavor factor! If I could grow fresh herbs I would totally be making this margarita all day long. But alas, I still have to steal them from my friend Chrissy. 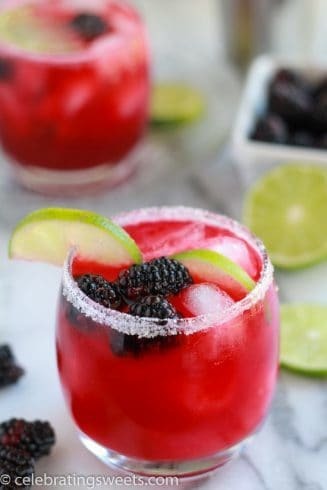 I’ll be making extra batches of these fruity margaritas to bring to her house for sure. Blood Oranges are a seasonal fruit but one to definitely have. 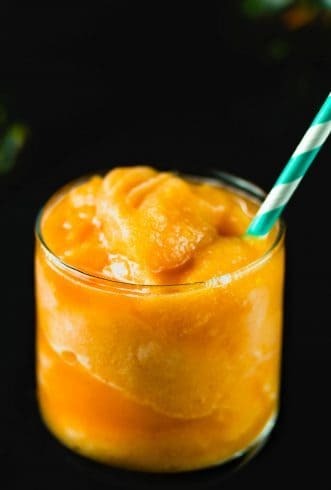 Freeze your juice in season and use later! 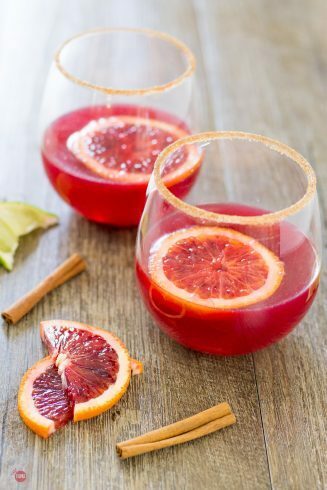 If you haven’t had cinnamon with your blood oranges you are definitely missing out! 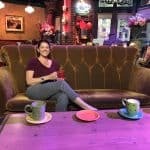 I know I can always use a skinny version of my favorite drink! Try your margarita with a splash of bubbly club soda or soda water for a little fizzle in your glass! A single serve cocktail is sometimes all you need! Strawberries are next on my list of fruitiness! Pickled fruits and the smoky taste of mezcal. said to be THE 2017 cocktail trend. Hop on the wagon! 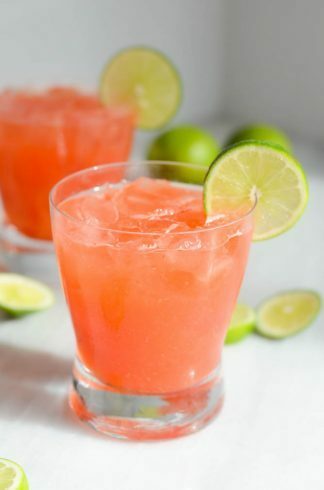 Rhubarb simple syrup makes this margarita super special! Speaking of berries. How about some blackberries and blueberries? Fig and cinnamon! Blackberries are in season late July august just when figs are coming back in season. 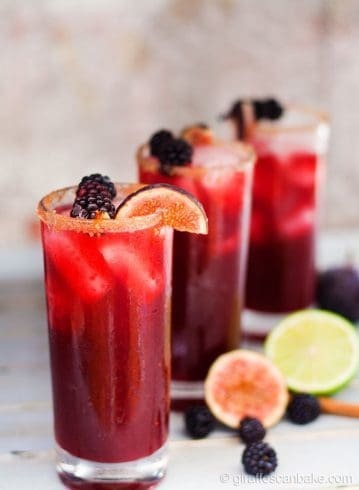 Maybe a harvest style fruity margaritas! Fresh picked blueberries or the frozen spoils of last year’s harvest. Both options sound good to me! 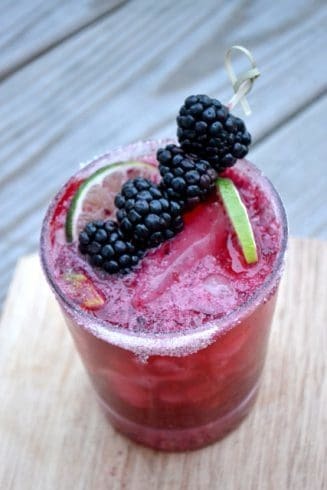 Blackberry and lime are a great combo of sweet and tart! Mulberries are included in this group too! A sugared rim is a great alternative to a salty one. Speaking to my heart with cherries. I have a few pounds of frozen ones that I so lovingly pitted by hand last summer! 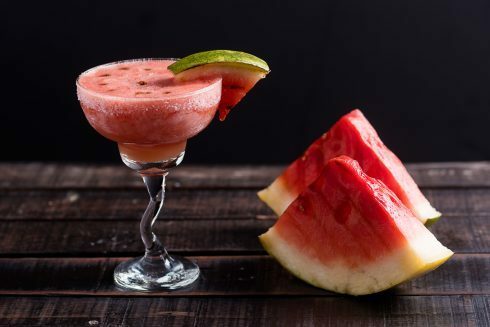 Watermelon makes great summer fruity margaritas! Try grilling your watermelon for a nice change! How are you feeling about some fuzzy kiwi? And a pitcher style one to boot! 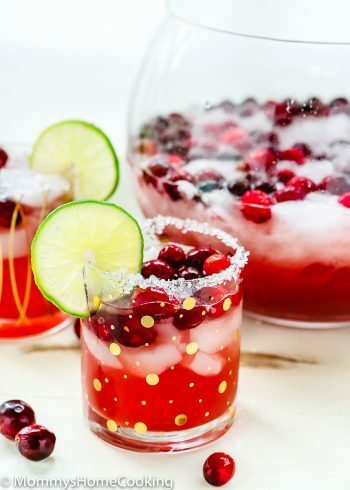 Grapefruit, prickly pear and cranberries, oh my! So simple and clean. Just 4 ingredients! 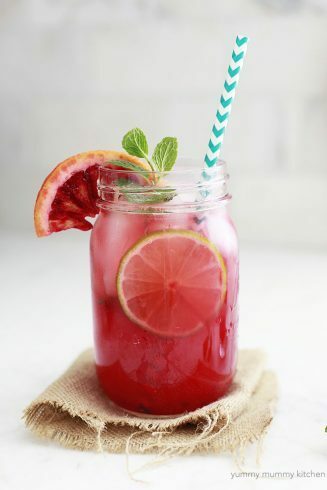 Now that is my type of simple cocktail. If you have never had prickly pear you are in for a treat! 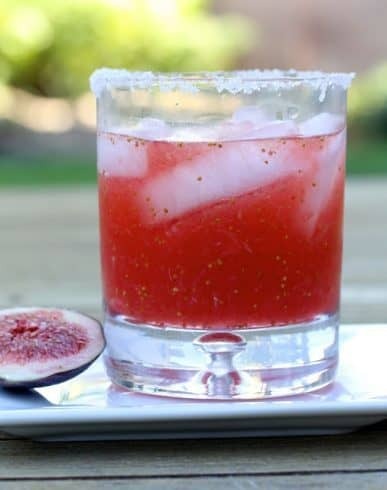 If you are looking for fruity margaritas for your fall table, look no further. A couple of melons are in the mix too! 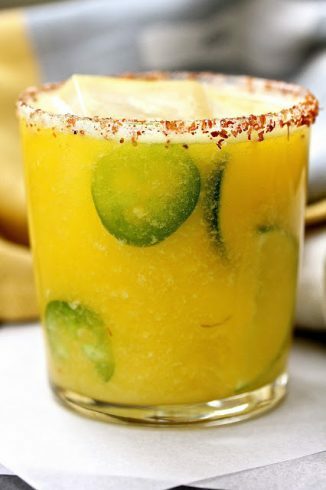 Cantaloupe is a great flavor for fruity margaritas! Don’t forget a honeydew… This is definitely on your to dew list! I saved the simplest for last. 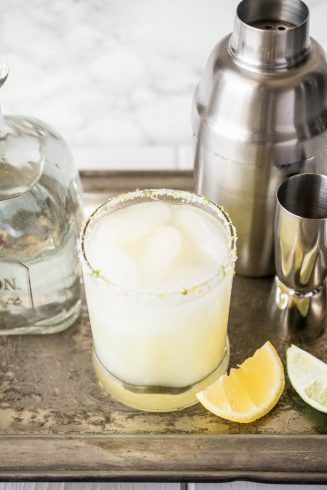 Lemon and Lime can not be beaten for a classic margarita! Super easy and a clean crisp flavor profile! 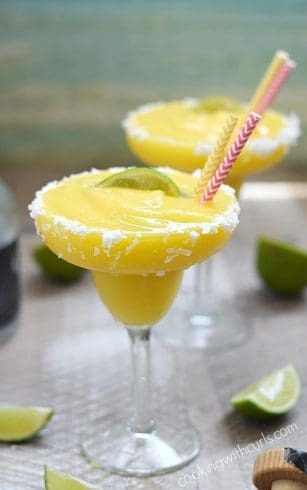 A single fruit margarita and a dash of sea salt is so enticing right now as the temperature rises. Hopefully, my Meyer lemon tree will start producing some fruit soon! 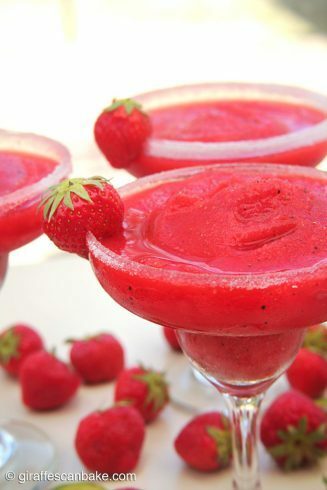 You have all summer to try each and every one of these fruity margaritas! 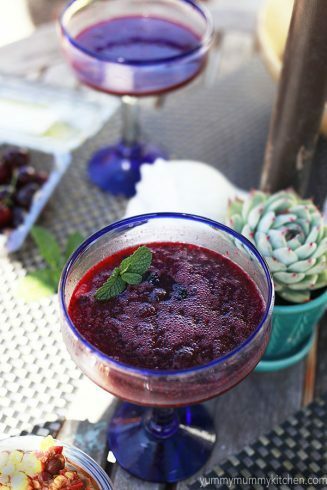 While you are enjoying them snap a pic and post on social media with the hashtags #taketwotapas #summerfruitymargaritas and the blog with the recipe! 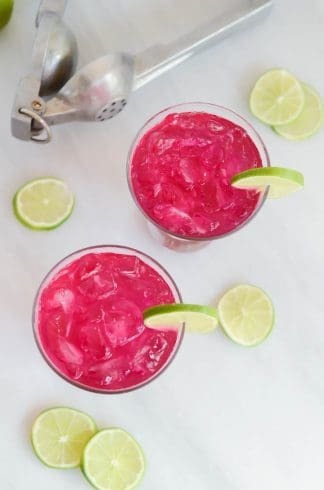 Don’t forget to Pin it to your summer and cocktail Pinterest Boards! Oh my gosh, these all look so delicious I don’t know where to start!